if we ask anything according to his will, he listens to us. In today's promise, the Apostle John encourages us to be confident in our prayer life. 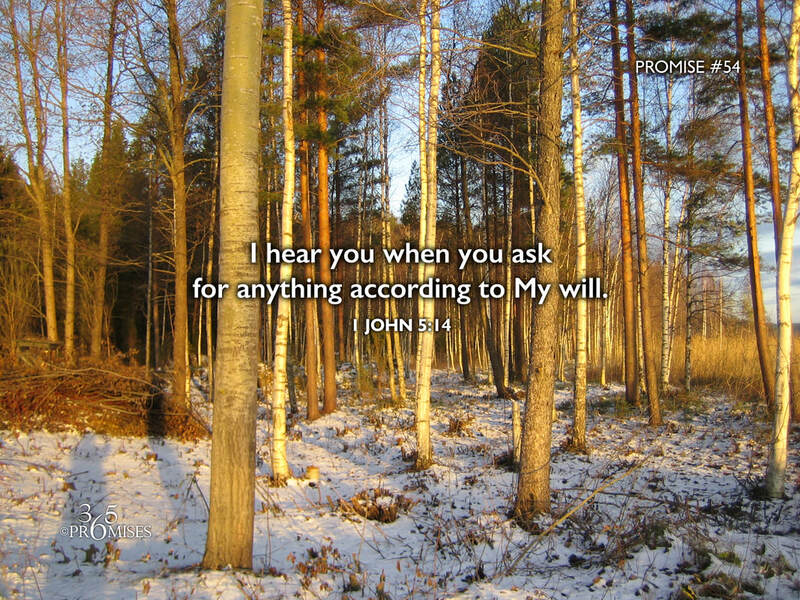 When we ask God for anything that is in accordance with His will, He hears us. Our Father is a good father who delights in giving His kids good gifts (James 1:17) and He is listening when we cry out to Him. I think we would be surprised at how attentive God really is to our prayers. If our view of God is that He is harsh and a taskmaster, then we will probably feel like we could never do enough to get His attention. However, this is not the picture of God that Jesus painted while He was on earth. Everything that Jesus did was an exact representation of His Father (John 14:8-10).